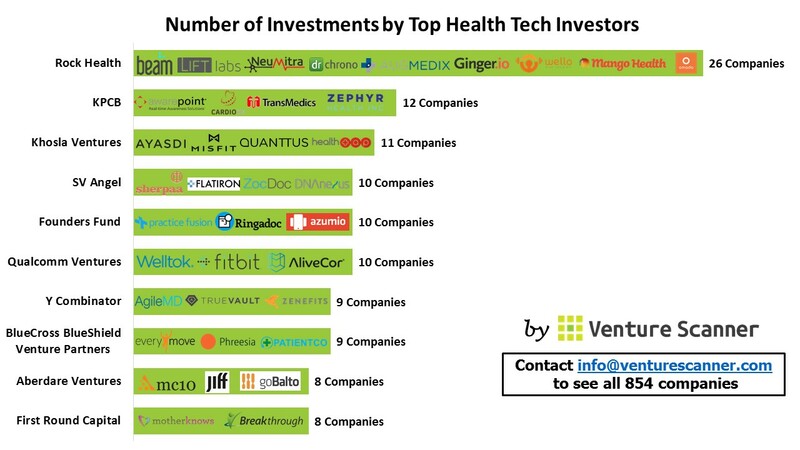 The following infographic summarizes the number of companies invested by the top Health Tech investors. You could see that Rock Health is in the lead by having invested in 26 companies, followed by KPCB which invested in 12 companies. At Venture Scanner, we are currently tracking over 854 Health Tech companies in 23 categories across 30 countries, with a total of $14.6 Billion in funding. To see the full list of 854 Health Tech companies, contact us using the form on www.venturescanner.com. Which Health Technology Category is Most Mature? The following infographic summarizes our Health Technology sector by median age of each category. The Electronic Health Records category has the highest median age at 9 years, followed by Clinical Administration at 8 years. Each category in our Health Technology scan was created by our dedicated team of analysts who specialize in helping you understand the complex startup ecosystem. We are currently tracking over 814 companies in 23 categories across 29 countries, with a total of $14.3 Billion in funding. 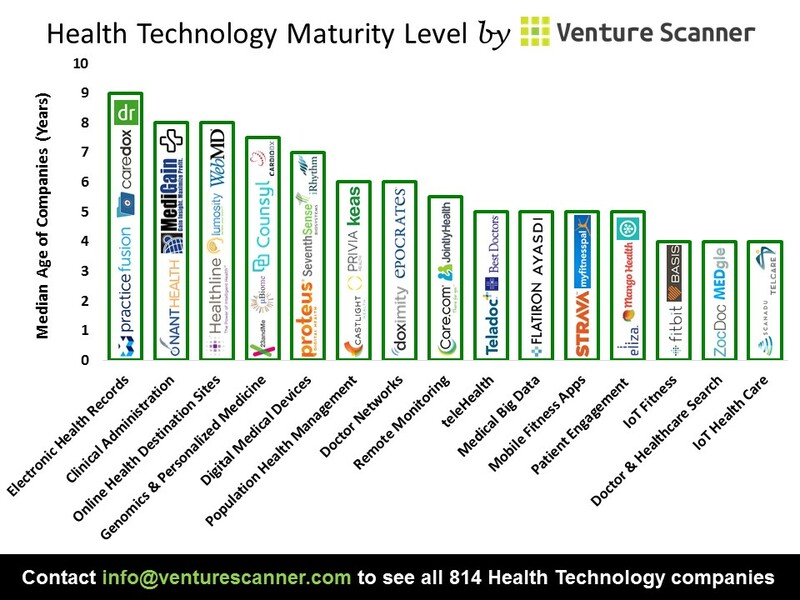 To see the full list of 814 Health Technology companies, contact us using the form on www.venturescanner.com.